And just like that, temps are going from “Hooray for jeans and hoodies” to “Where’d I put those dang earmuffs?” If you’re like most homeowners, you’ve likely tested your furnace a time or two. But have you shown your plumbing system any TLC yet? As your Pittsburgh plumbing experts, we recommend doing some quick DIY preventive maintenance to avoid a Midwinter Night’s Nightmare (with our apologies to William Shakespeare). Clean out your drains and gutters. Inspect your water heater and water heater pressure relief valve. Check for leaks and drips. Turn off your outdoor faucets. Use your water shut off valve if you’ll be traveling. If you’re nice and cozy in your favorite recliner right now and you aren’t terribly enthused at the thought of heading to the basement or the backyard, we get it. But here’s the thing: Water damage related to burst pipes is the second most-filed insurance claim in the country—at an average of $10,000 per claim. And, by the way, most insurance companies are picky about what they will—and won’t—cover in these situations. So you’re right: Draining and storing your garden hoses is no fun. But neither is a flooded basement on Christmas Eve. Open the faucets a tiny bit. In extremely cold weather, in areas of your home that get much colder than others, or if you live in a mobile home, consider allowing a trickle of water to run through the faucets. Yes, that is a waste of water. But it also relieves pressure if standing water in your pipes does freeze. Note: If the drain for a particular faucet is on an exterior wall, don’t let that one trickle. The water in the drain could freeze, which would overflow the sink. Open cabinets under your sinks. Consider leaving bathroom vanity doors open so warm air from the room can circulate around the pipes. In extreme temperatures, point a portable heater inside the cabinet. Get a professional’s opinion. 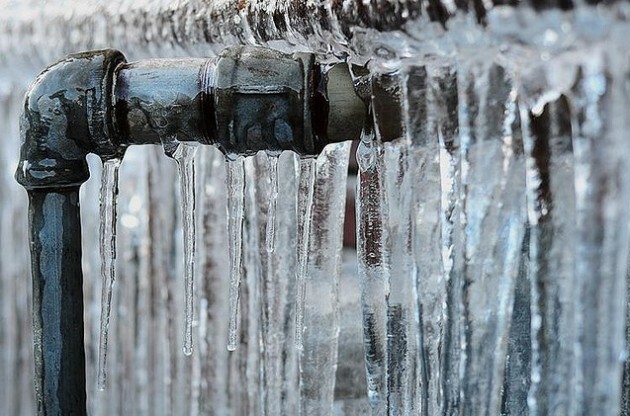 Ask a professional for advice about how to best winterize pipes in freeze-prone areas. It could be that a good heat tape may be sufficient, but in some cases, re-routing the pipes may be the most efficient solution. Pipes most likely to freeze include those located in your attic, unheated floors, unheated crawl spaces, unheated garages, well pits, under porches, and along the perimeter of your basement (even if it’s heated). Check for drafts. On a particularly windy day, feel for drafts blowing on uninsulated pipes. One obvious place to check is where pipes, cables, and wires enter your home. If you feel drafts in those spots, use expandable foam to prevent cold air from seeping in. Look for bulging sections of pipe. If you have any exposed pipes, inspect them for bulges—points where water has frozen in the past and pushed against the pipe. If you find any, you’re lucky they didn’t burst last year. It’s likely they will this year, though, so that’s something to call us about immediately. Insulate your garage door. If you have plumbing running through an unheated garage, insulate the door to keep that area as warm as possible. If you leave for vacation, don’t turn off your furnace. You don’t need to leave your furnace running full blast, of course, but if you turn the system completely off and temperatures plummet, your plumbing will be in serious jeopardy. If thinking about prepping your plumbing for winter leaves you cold, we’re happy to help. We can do it all! From inspections to repairs and installations, we’re the Pittsburgh plumber to trust. If you need a Fast Plumber in Australia, click here.